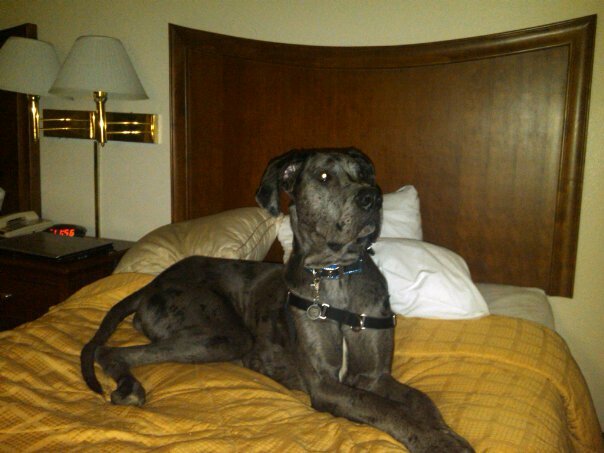 As you may have already guessed the Great Dane is one of my favorite breeds of dog. I would even go so far as to say that they are my number one most favored breed! I’m not 100% sure of exactly why they’re my favorite mainly because there are so many reason to love them. It’s hard to pick any one single reason. Maybe it has to do with the silly fact that Scooby Doo was my favorite cartoon as a child? Who knows?! Whatever the reason, I just adore them! So comical, goofy, loving, loyal, fierce when necessary, grand, and regal all wrapped up into a single very large canine. After I fell in love with the breed, and we decided to get one ourselves, I started researching and learning about them. 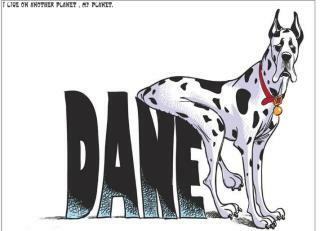 In doing so I, discovered that though they’re most often called a Great Dane here in America, there’s absolutely nothing Danish about them. They’re believed to have originally come from Germany and are thought to be a cross between an English Mastiff and an Irish Wolfhound, though dogs that closely resemble the Great Dane have been seen on Egyptian momuments dating as far back as 3,000 BC. 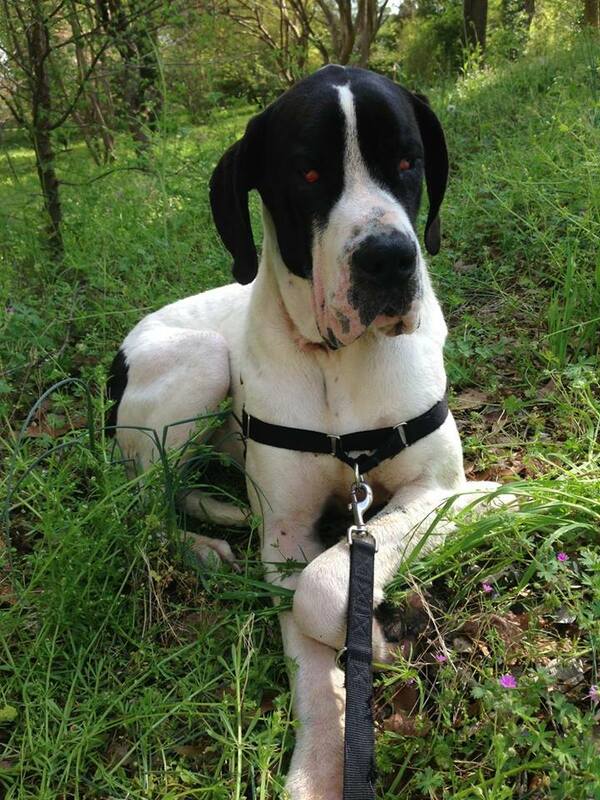 The French naturalist, Compte de Buffon, gave them the name “Great Dane” after he first saw them back in the 1700’s while traveling in Denmark. The name was apparently popular to the English since it stuck, though the Germans still preferred to call them Deutsche Doggen. 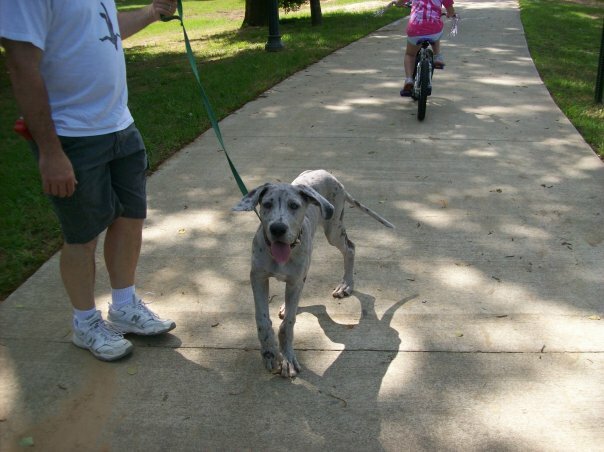 Great Danes are often referred to as Gentle Giants because of their usual sweet nature. However, if not properly socialized, or if they have too many negative experiences when they’re young, they can become overly fearful and that sweet nature will “hide” when around strangers. 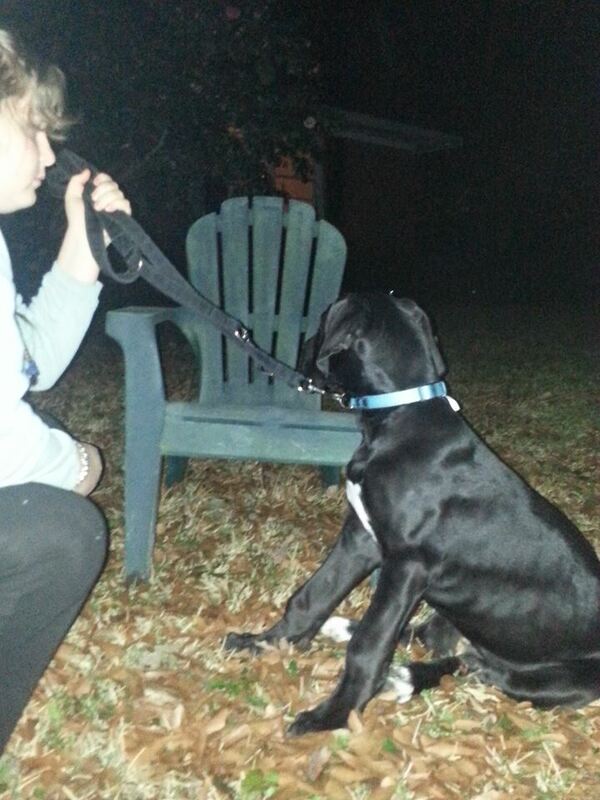 It’s been my experience that when you have a Great Dane puppy that’s showing fear of a situation, it’s best to get them where they’re comfortable and allow them to choose when to move closer. They’re very sensitive and often won’t do well with forcing them a scary situation on them. 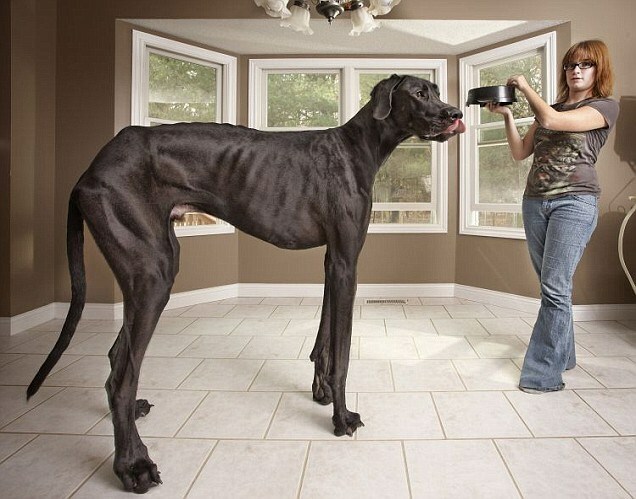 The title of Tallest Dog in the World is often given to Great Danes. Currently, a Great Dane named Zeus is the World’s Tallest dog (as of 2011), measuring in at 44 in from paw to shoulder. 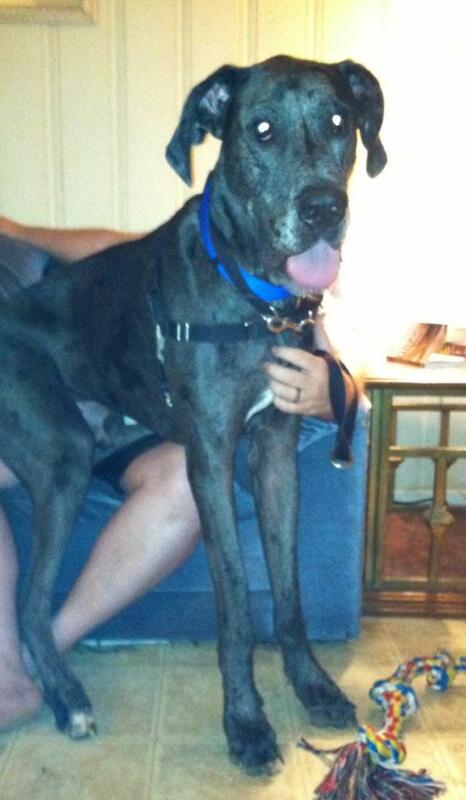 When he stands on his back legs, he’s 7’4″ – Can you imagine?!? And we thought Streifen being able to steal items from the top of our refrigerator was impressive! 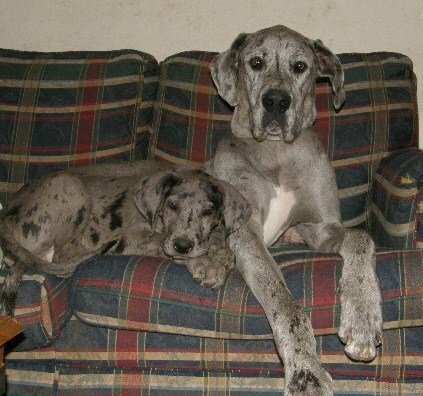 Because he held the record when I first fell in love with Great Danes, I feel the need to recognize Giant George in this post too. Giant George was officially verified by Guinness World Records on February 15, 2010 as the World’s Tallest Dog. 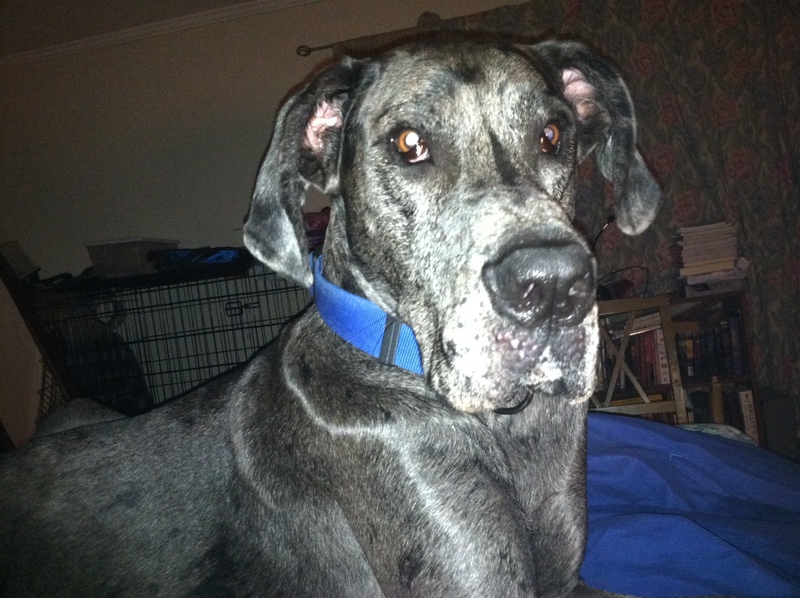 There are so very many things I love about Great Danes, but there’s one thing I don’t like… bloat. Also known as gastric dilatation-volvulus (GDV). 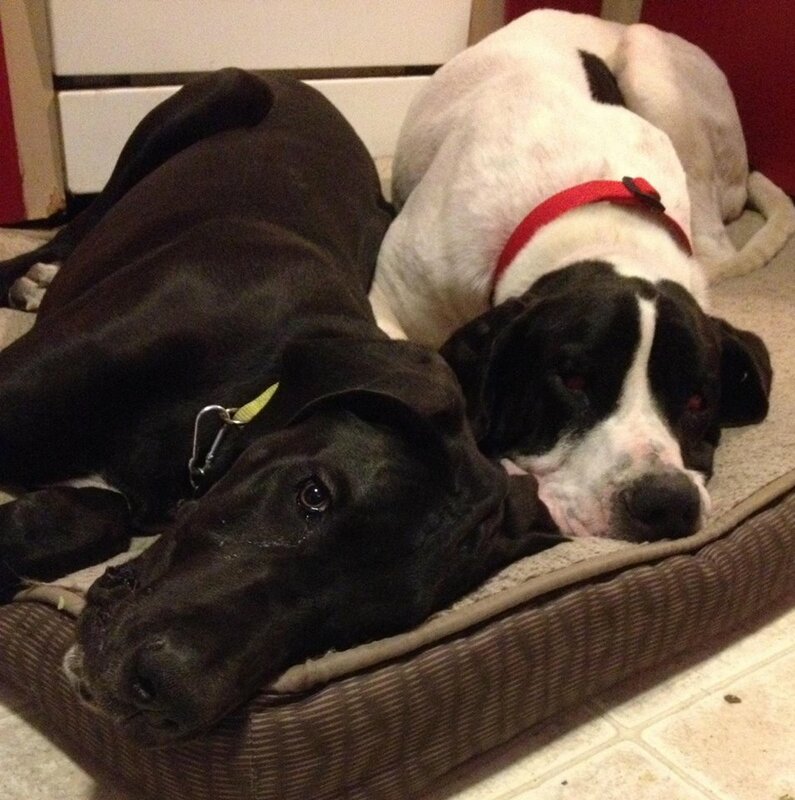 Bloat is the second leading killer of Great Danes. Cancer is first. Bloat can kill a Great Dane within an hour and is extremely painful. 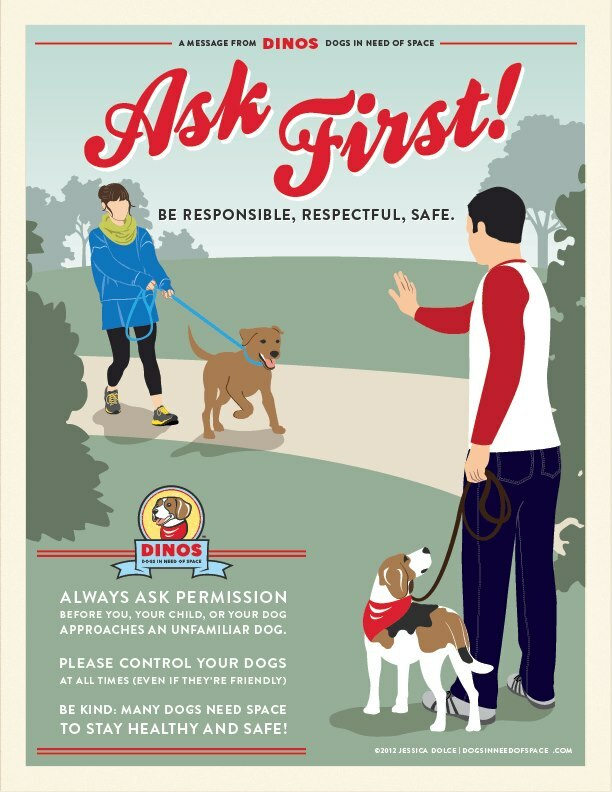 Be sure to learn about Bloat and know who you should take your dog to in the event of an emergency. If you know me, you know that I HATE BLOAT. What’s your favorite breed? I would love to hear about it in the comments section! Posted in Dog Breeds, Uncategorized, Woof Woof and tagged American Kennel Club, Dane, Dog, German Mastiff, Great Dane, Guinness World Record, Irish Wolfhound, Merle, Scooby Doo, Worlds tallest dog. Bookmark the permalink. and basically…. He owns us – his family. Most people own their dogs, but it’s kinda weird with Streifen. It just seems more appropriate to say he “owns” us. Because of this little fact, I thought it would be nice to introduce you (my readers) to him early on in the life of this blog. So here is the story of Streifen and how he came to be such a HUGE part of my (and my family’s) life and take over so completely. Being a dog trainer, I’m around lots and lots of different breeds of dogs and I fall in love with the majority of them. One day a lady, her daughter, and their puppy walked into a Puppy Class that I was to teach. 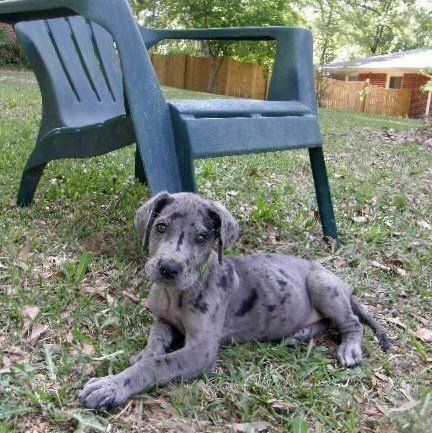 Little did I know, from that point on, my life and the lives of everyone in my family, would be forever changed – all because of that little blue spotted Great Dane puppy aptly named Sky. Sky was around 4 months old when they started class with her and boy was she CUTE! 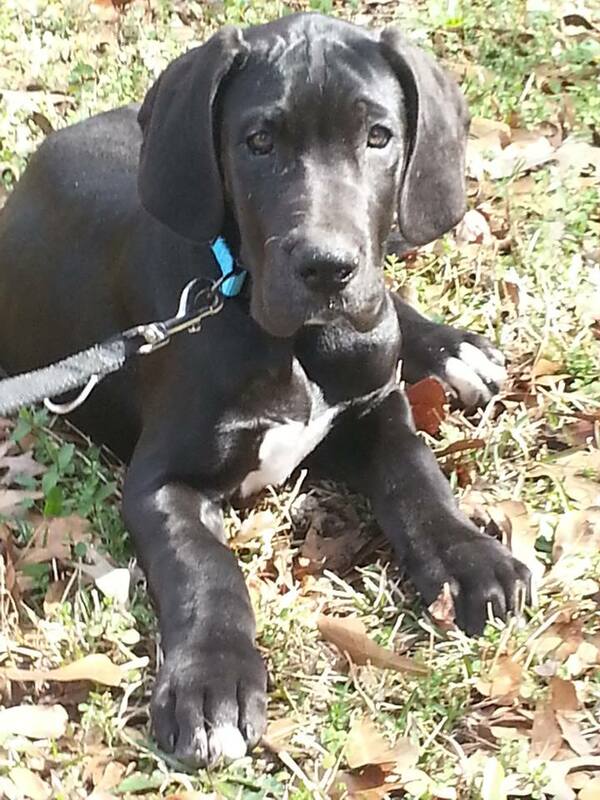 Great Dane puppies are just adorable cause they’re all legs and ears for the longest time. Miss Sky when she was around four months old. People get to know me when they’re in one of my classes and they learn really quick that I truly love dogs and care for them as if they were my own children. This often leads to me “babysitting” their dogs for them when they want to go on vacation and don’t want their beloved furry child sitting in a crate at a boarding facility or vets office. And it led to that with Sky, which led to me falling hopelessly in love with both her, and Great Danes in general. It wasn’t long at all before I KNEW I had to have one! Had to. Just. Had. To. Approximately a year later, Sky’s furry mother and father were bred again and well… yeah – I HAD to have one out of this litter. Had to. Just. Had. To. 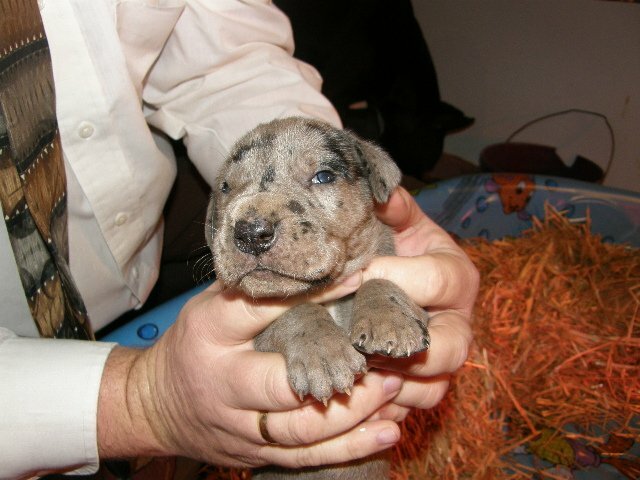 And so my dear husband agreed and we picked out our boy from the litter when he was a tiny 2 weeks old. We knew one thing, and that was that we wanted a boy. When we looked over all the puppies available from the litter we immediately recognized the fact that this little fella had a stripe straight down his nose, just like his big sister, Sky. That was it. Love at first sight – for all of us. We had picked out our gorgeous puppy, but what to name him? We knew we wanted a German name, since Great Danes are actually German Mastiffs, but we didn’t want a typical German name – like Hitler or something. Oh no. And I prefer unique names, when possible… So the consulting with friends started and the search for the perfect name to give to our brand new baby boy was on! Back and forth, and on and on, and finally, my best friend found the PERFECT name for him – Streifen! Pronounced with a long i. The word Streifen is the German name for stripe – and a stripe is what both he and his gorgeous older sister have straight down their noses. Maybe it’s just me, but I thought that a more perfect name would be impossible to find. 8 weeks and growing every day! And he grew some more. He and his big sis, Sky, loved getting to hang out together when we “babysat” her. The bigger he became, the stronger the hold he took on all of our hearts. 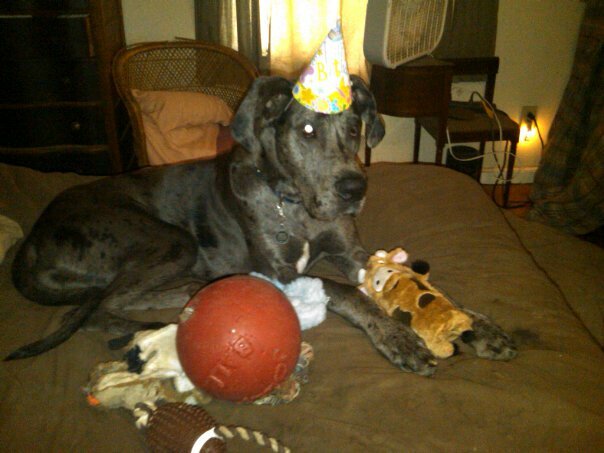 And yes, we did have a real birthday party for him, complete with a cake, presents, and hats – which he is proudly wearing in the above photo. 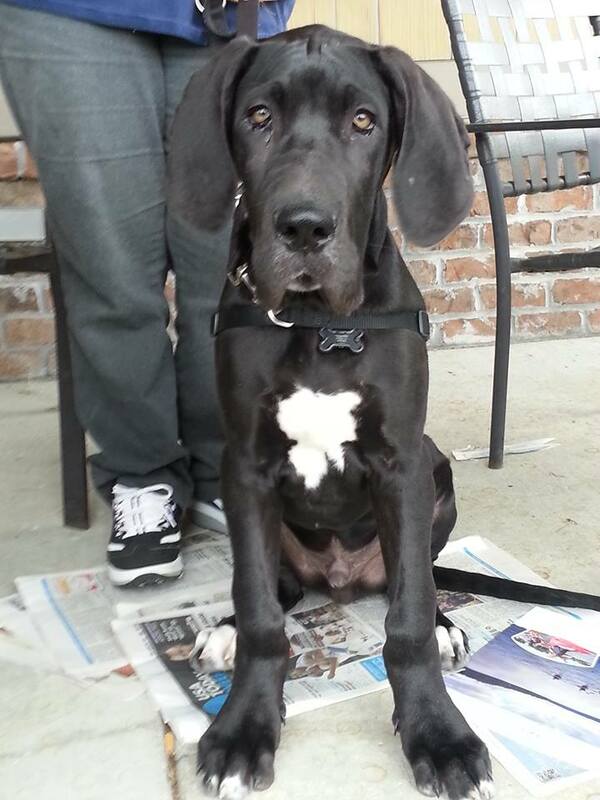 There is just something about a Great Dane that steals your heart so completely. You’re the owner of a puppy one day and then before you know you’re owned by that same puppy and you know that you’ll never be the same. Do you have a dog you adore? Comment and let me hear about them! 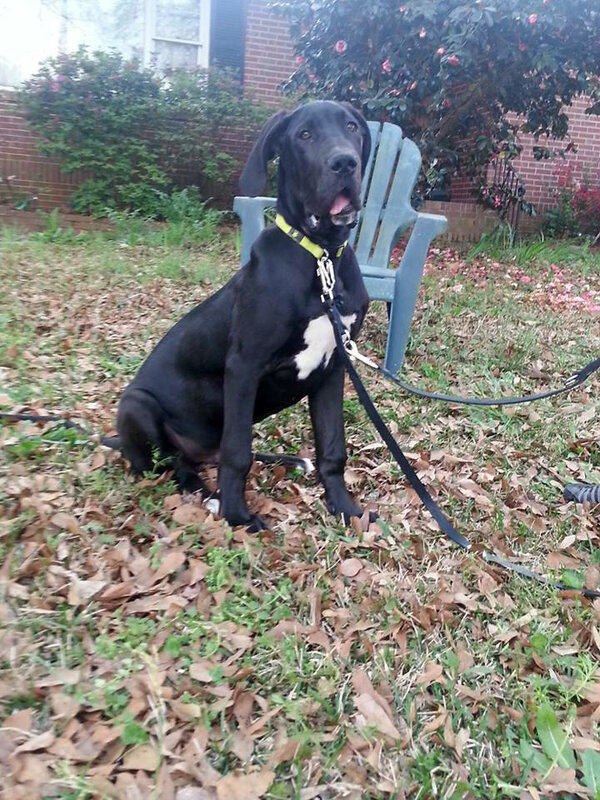 Posted in Uncategorized, Woof Woof and tagged Dog, German Mastiff, Great Dane, Great Dane puppies, Pets, Puppy. Bookmark the permalink.